Awaken your Magic features a beautiful snowy owl gliding through the snow holding a pentagram! 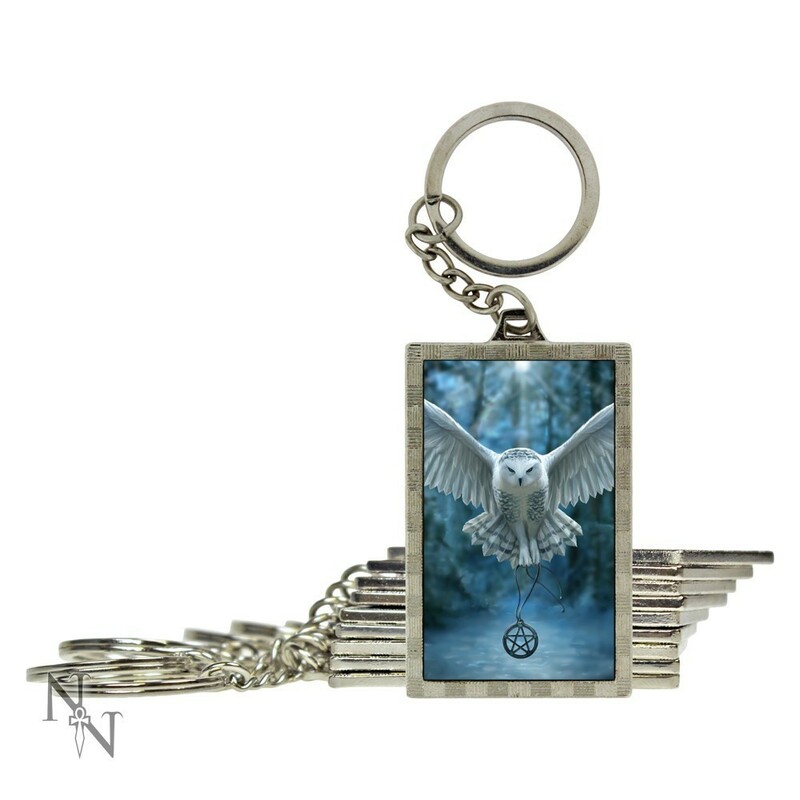 Solid metal Keyrings featuring Anne Stokes' artwork with 3d effect images on both sides. Quality metal key chain and edging.